Talking about DJ turntables takes us back in time around the ‘80s when a Japanese company (nowadays known as Panasonic) created the MK2 version of its Technics SL-1200 record player. The initial SL-1200 had a rotary pitch control and was a hi-fi consumer turntable. The Technics SL-1200 remain the standard in most clubs as it has an amazing built and is made to last forever. It seems incredible, but there are many of the SL-1200 from the ‘80s still in use and, as long as vinyl records are made, they will still be around. And, get ready to spend some money on it as the old “analog turntable” became some high-priced turntables. 0.2 What does a good DJ turntable look like anyway? The new digital DJ tools give easiness of use and amazing flexibility, but the vinyl supporters complain about the inferior sound quality. 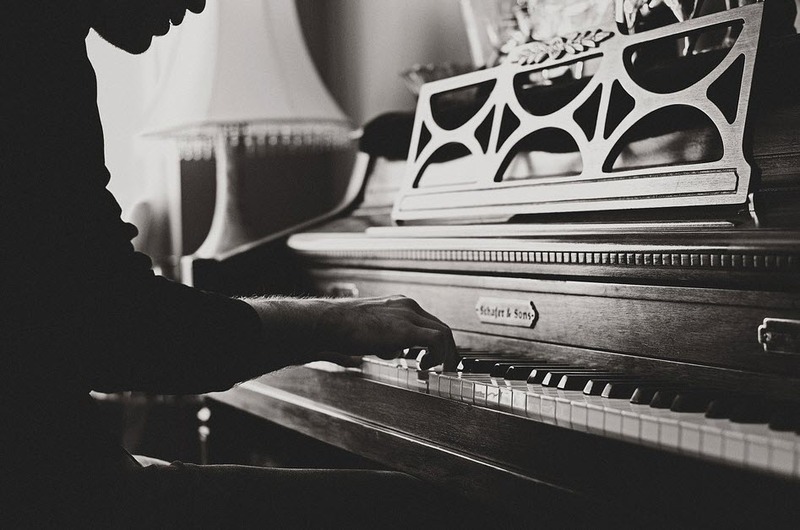 The digital audio needs only a second to capture analog sounds and doesn’t reproduce the complete sound waves, which lowers the music’s definition and impact. Some DJ say vinyl gives more creativity, but it also needs more attention. 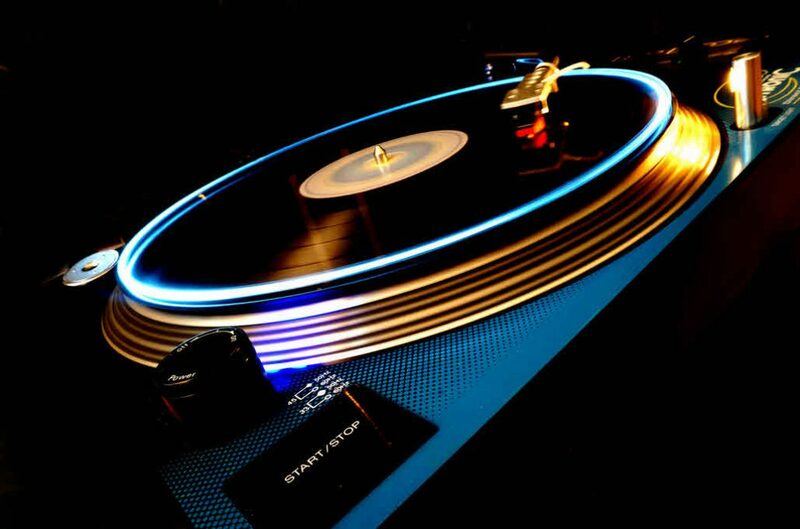 Many of the most popular club DJs include real vinyl and turntables into their shows, which is a sure key to success. All in all, DJ-ing is about enjoying the experience so you get to use whatever you like for your DJ-ing. No matter if you’re new to this or an old-school turntablist, you may see there are so many turntables, phono cartridges and replacement styli to match so it’s only your budget or likings to decide which one to use. What does a good DJ turntable look like anyway? 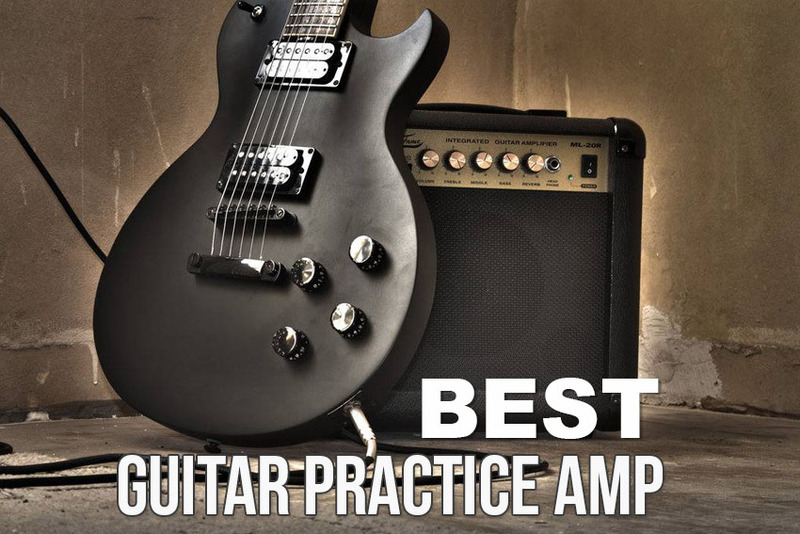 You don’t really need a Technic or at least you don’t need to spend more than $2000, especially if you’re new to this. 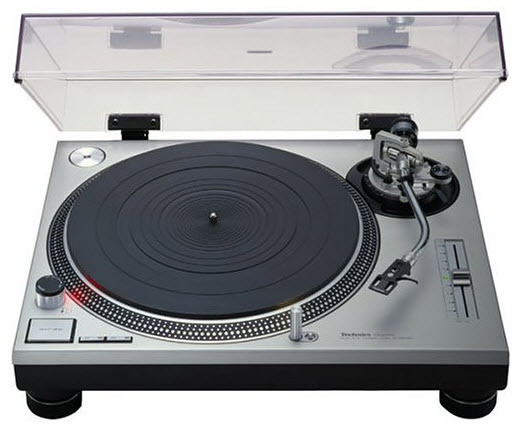 You may find many good turntables that are pretty long lasting (not like the SL-1200, true) but you need some basic information before going shopping. The type of drive motor on the turntable is the first thing to look. For the direct-drive turntables, the motor is placed under the center of the platter and is connected to it directly. This gives higher torque and lower flutter and wow (platter speed fluctuations), highly important for a DJ. The first direct-drive turntable is in fact an ancestor of the SL-1200. When the motor is placed off-center from the platter, you get a belt-drive turntable. The motor is connected to the platter with a rubber belt and therefore you get lower toque with greater speed fluctuations. Stay away from the belt-drive turntable as they are not great for DJ-ing. A belt-rive deck can’t have a constant speed of platter rotation and this is very important for a DJ, since you don’t want any galloping. For any DJ turntable the torque is also very important. The higher the torque, the more the platter will accelerate to the proper speed once you press the Start button. On a plus, it won’t slow down a lot when you’re holding a record still on the slip mat. Go for decks at least 1.5kgf on the torque. The pitch control slider is also very important for a DJ deck. Seek to adjust the slider smoothly so that the turntable answers fast to the adjustments. Your DJ turntable could (but it’s not mandatory) have other features, as follow: digital output (S/PDIF, USB), master tempo, reverse, adjustable pitch range, adjustable torque, BPM counter. They add to the performances of your DJ-ing, but are not essential. You don’t need to get a 1200 right from the beginning of your DJ-ing. 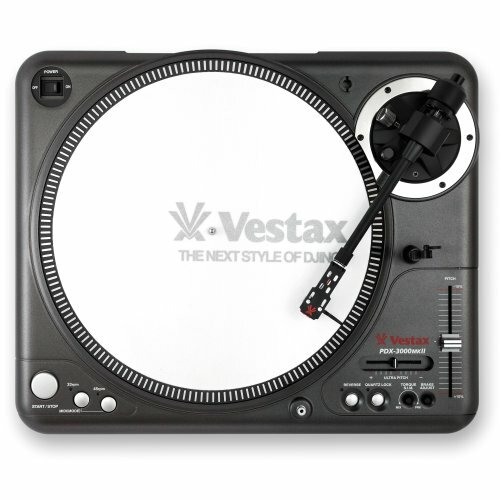 You can get a Vestax deck since the special tonearm technology makes it a great option. The technology used reduces skipping, feature adjustable break/startup time and adjustable pitch range. Plus, they don’t go over $1000. If this is also expensive for you, you can get a budget deck. The cheaper materials prone them to random problems, but they are reliable enough for the money you pay. When we talk about the Reloop RP-8000 Advanced Hybrid Torque MIDI Turntable we definitely need to mention the advanced hybrid torque with quartz-driven direct drive. The MIDI compatible control section is composed of Trax encoder, 8 backlit drum pads and 4 combinable performance modes. You get amazing sounds thanks to the straight skip-proof tone arm with illumination and the auto deck-assign feature. The link USB port simply makes it easier for you to use the turntable. The RP-8000 can communicate with any midi compatible DJ software and you don’t need another modular controller. You may easily scroll through your playlist thanks to the Trax encoder and let your creativity flow with the 4 combinable performance modes. You may even display the current BPM of a track on the pitch display and sync your tracks directly at the turntable. The RP-8000 has a sturdy, solid build and it’s very durable. It features also reverse button and adjustable stop time from 0.2 to 6 seconds and you may also set individual and creative impulses. 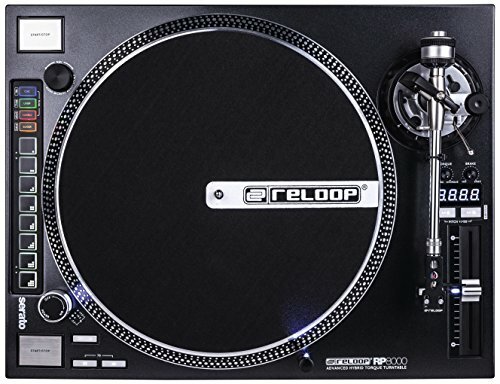 The control for the torque, the great platter and awesome midi functionality make the Reloop RP-8000 a good option for a DJ turntable. The cons aren’t though deal breakers and we still think the Reloop RP-8000 is a good DJ turntable. For the heavy duty users that want a versatile, amazingly looking turntable, the Numark Turntable with USB surely fits the description. The turntable has USB connection for fast conversion of vinyl to digital media and patented interchangeable aluminum tonearm system with straight and S-shaped tonearms. 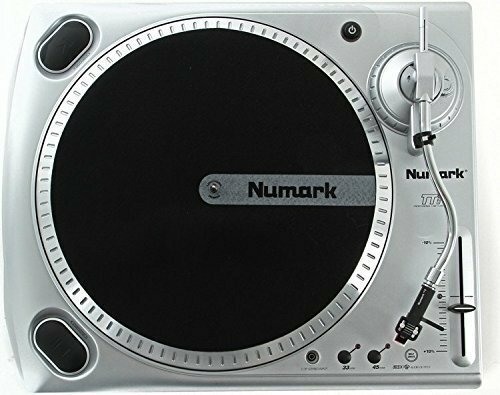 The Numark Turntable has interchangeable pitch fader and button cartridges for club and battle style and the blue illuminated displays gives pitch, RPM, BPM and motor settings. The torque is 4.7 kgfcm and everything about the turntable says professional modern DJ-ing. The turntable has silicon rubber base that absorbs vibration and dampens low end feedback. The built-in USB connector helps the professional grade vinyl-to-digital transfer. It only takes few seconds to that. The motor is quiet, the USB interface is solid and the turntable uses universal head shell. The Numark is skip proof and is the thing to get by the record collectors. All in all, the Numark turntable stands out with its features, performances and, we have to admit, amazing look. 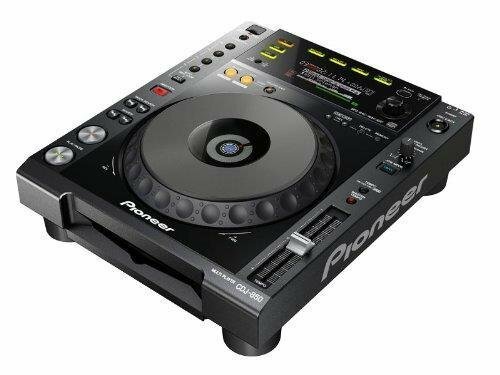 if you want to get yourself a digital DJ turntable take the sure thing and get the Pioneer CDJ-2000-NXS Digital DJ Turntable. The Pioneer CDJ-2000-NXS Digital has Wi-Fi connectivity and it comes with free Rekordbox music management software. The Pioneer CDJ-2000-NXS is compatible with iPhone, iPad, iPod touch, android tablets and smartphones and gives new functions as Beat Sync, Wave Zoom and slip. The full color LCD display has a new graphic user interface which increases visibility of the needle search pad. The CDJ-2000 NXS may use various music sources, from a hard drive to USB thumb drive and/or SD memory card. You may create your own playlists, cue/loop points, beat location settings, waveform analysis and more and you may also temporarily transfer the content through Wi-Fi to the turntable. You can use the rekordbox music management software to perform the same wireless function with a Mac/PC. The Beat Sync, the traffic light, the beat count and phase meter are few of the amazing features of the CDJ-2000 NXS. 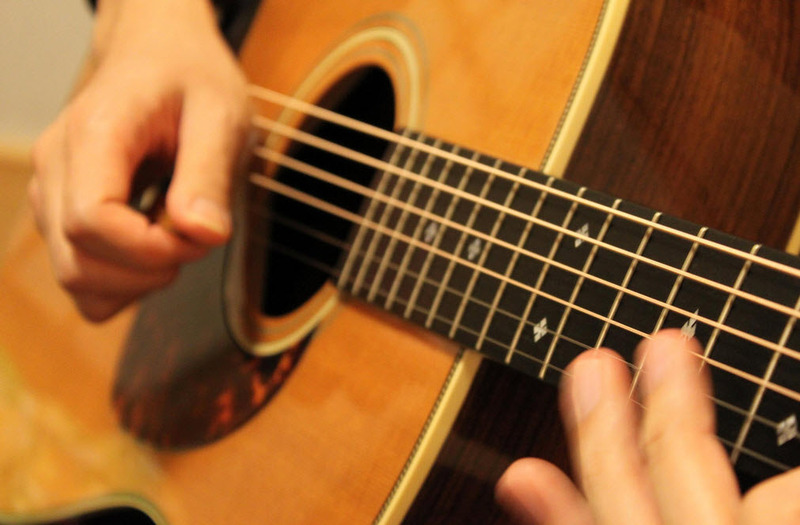 Along come the “slip mode”, the quantizing feature, “My setting” are also important to mention. With so many great features and Wi-Fi possibilities, the CDJ-2000NXS is a great DJ turntable for the new century. For those of you who want only the very best but are also willing to pay the extra buck for it, the Vestax PDX-3000MKII Professional Turntable is the right turntable to get. The straight ASTS (Anti-Skipping Tone Arm) shaped tonearm with adjustable torque give a clear sound and the direct drive DC motor reaches a constant speed rate within 0.5 seconds from pushing the start/stop button. The Vestax PDX-3000MKII is made of ultra strong foamed ABS plastic that prevents feedback and is also impact resistant. The insulators are filled with rubber for absorbing shock and have airspace for better feedback absorption. The turntable is MIDI compatible and it weighs around 20lbs. The “anti-skipping” tone-arm system protects your records and helps with the clarity of the sound. The ASTS makes the turntable great for scratching, juggling but also stable playback by lowering the inner and outer force of the needle, suppressing horizontal vibrations. The direct drive motor has powerful torque of maximum 4.7 CN/cm and the precise regulator controls the motor. Apart from the fact is heavy weight, we have nothing to mention on cons. The Vestax PDX-3000 is a beast and it’s better not to have to move it around. When you care more about having a classical, out of time DJ turntable and care less about whether it’s new or not, the TECHNICS SL-1200MK2 Manual Stereo Turntable might be a nice surprise. Even though is discontinued by Manufacturer, this doesn’t mean you can’t find a good example out there on the market. The Turntable has a die-cast aluminum body and it’s built to last forever. 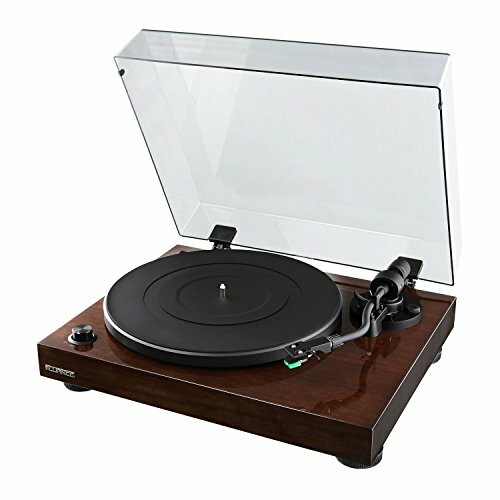 The heavy rubber base gives it great stability and there are only useful components and no empty space on the turntable. The 1200 MK2 absorbs unwanted vibrations and it’s great for DJ-ing. The torque on the Technics SL-1200 MK2 is 1.5kg/cm strong and the start-ups are very fast (0.7sec). The speed is accurate and consistent, whereas rumble is -78 dB and woo &flutter is only 0.01% WRMS. 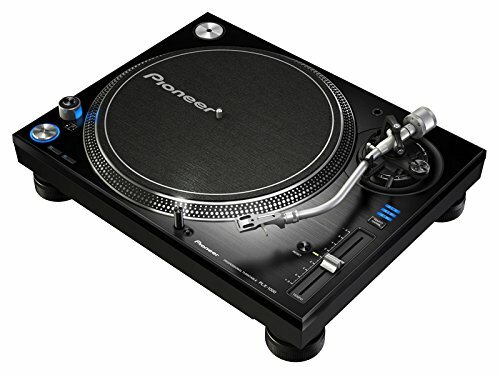 The turntable has a heavy-duty construction and the direct driver motor keeps the platter precisely on speed. The S-shaped tonearm gives you adjustments for tracking force, anti-skate and vertical tracking angle. Regardless the minor issues, the SL1200 MK2 is a must-have for all turntable lovers. If you just got the hang of DJ-ing and want a reliable device that performs well and is not that complicated to use, don’t hesitate to give it a go with the Stanton T62 Straight Arm Direct-Drive DJ Turntable with 300 Cartridge Pre-Mounted. The turntable comes with a straight arm that gives better tracking for scratching and a Stanton 300 Cartridge pre-mounted on head shell that ensures nice sound. The slip mat is god quality and ensures better control. You get 2 playback speeds (33 or 45RPM) and RCA stereo outputs for more versatility. It’s easy to use the turntable as it has only two start/stop switches for mix or battle setup. The motor on the device is pretty strong and gives powerful torque, whereas the straight tone arm gives better tracking ability for scratch DJs. When we go through the features, we also see the pitch control that helps you set the tempo/pitch that you want with a range of +/-10%. The cartridge sound is great and clear with minimal surface noise. The ground cable is efficient and you barely get any buzzing noises. The platter is lightweight and the slip mat minimizes it. You hear no motor noise or rumble. The turntable has a good build and is not heavy weight. The RCA cables are detachable and the setup is easy. The turntable takes the heavy use and makes a good choice for any beginner as it’s also easy to use and…looks rather cool. The cons are minor issues and we think the table is a good, reliable and long lasting table for anyone new in the business of DJ-ing. Just because you are a beginner, it doesn’t mean you can’t get a more performant turntable that is ready to help you improve your abilities right from the beginning. A very good example on this is Reloop RP-7000 Quartz Driven DJ Turntable is a quartz driven turntable with Upper-Torque Direct Drive that gives great sound. The torque is adjustable and the table comes with phono and line output, with no need for grounding. The 3 speeds give you the chance to get creative when DJ-ing and they are fully manual. The direct connection on the table and motor, which ensures high stability. The table is reliable and accurate. When we go through the features, we see the high-resolution digital fader, the pitch resolution that is very accurate and the three selectable pitch ranges. The additional start/stop button for vertical positioning and the variable torque add up. Your mix gets more variety thanks to the reverse button and the adjustable start/stop time from 0.2 to 6 seconds. The motor is strong and fits the strong build of the table. We can’t get over the scratch-resistant, painted metallic finish that make the table looking very cool. As it comes with so many great features, great build and nice appearance, you can’t oversee the turntable when in need for your new hobby. When you get a DJ turntable for home use, you care about performances, price and, why not, looks also. The Fluance High Fidelity Vinyl Turntable Record Player is made of premium components which give the high fidelity belt driven turntable the ability to produce analog listening. The high performance AT95E Audio Technica cartridge gives clarity to the sound and the diamond elliptical tipped stylus gives greater accuracy for high definition audio. The S-type balanced aluminum tonearm keeps the stylus rested deep in your records, reproducing every detail. 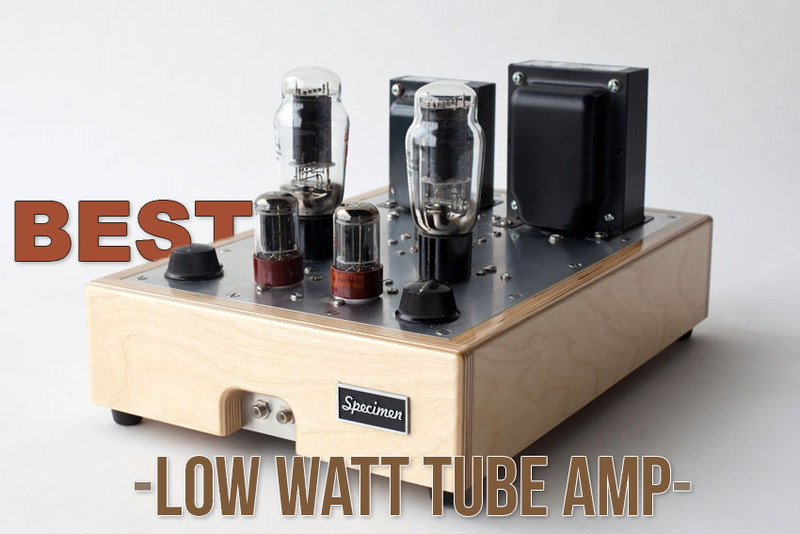 The Texas instruments preamp give also clarity to the sound, whereas ground terminal and gold plated RCA line outputs gives warmth to the sound. The cabinet is crafted from solid audio-grade (MDF) wood, with a nice walnut finish) and includes isolation feet, aluminum platter and rubber slip mat. Therefore, the risk of vibrations is very low. 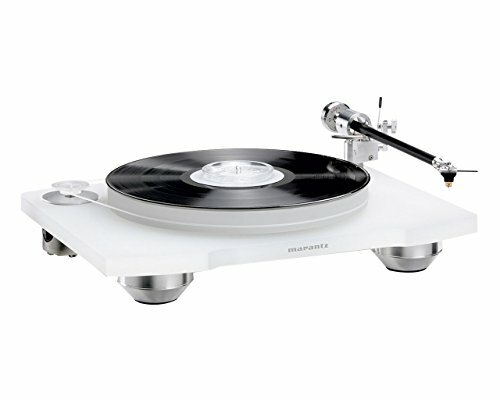 The Fluance High Fidelity plays nicely traditional LP and EP vinyl records, in the purest way. You may use the 33 1/3 or the 45 RPM speed and enjoy the crisp, detailed sound on your records. The turntable comes with an instruction manual that is easy to read and follow; it’s both easy to setup and to use the turntable. Producing warm, nice sounds and presenting many detailed features, the Fluance High Fidelity makes a nice option as your DJ turntable at home. 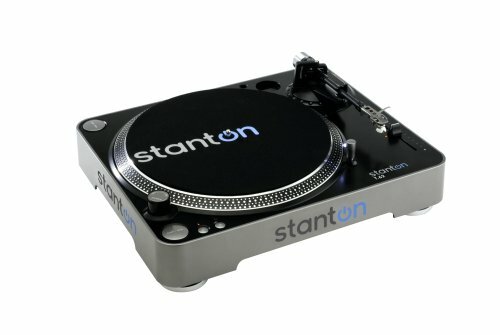 For those of you out there who miss the SL-1200, the Stanton STR8150 High Torque Direct Drive DJ Turntable is reliable and pretty good replacement. The torque motor direct drive of 4.5 Kgf.cm strong one and the turntable has a heavy duty steel construction. The platter is very stable and the tone arm make the turntable great for scratching also. The Stanton Str8150 comes with a Stanton 680 HP cartridge and head shell, and the adjustable start and break speeds are efficient. The key correction alters platter speed without changing pitch and the turntable plays at 33/45 or 78 RPM. The Coaxial digital-audio output lets you plug the turntable directly into a CD recorder, audio/video receiver or a PC or Macintosh sound card. The selectable phono-or- line-level output grants use with amplifiers and preamps lacking phono input. The reverse play, the quartz lock, the selectable pitch control is other nice features of the Stanton STR8150. You will like for sure the motor off feature, the adjustable feet or the removable target light. The included slip mat and the “L” shaped cables are also advantages to consider. 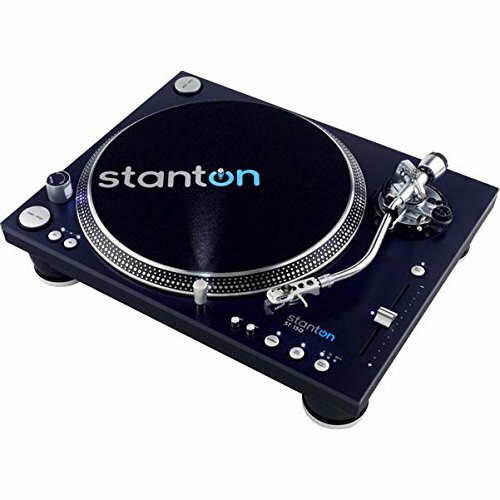 is around, the Stanton STR8150 is a great turntable for home use. For the short on a budget DJ wanna be’s, the Jensen JTA-230 3 Speed Stereo Turntable with Built in Speakers is a great turntable to begin. Apart from being cheap, the turntable gives some good features and performances also. The Jensen JTA-230 3 Speed Stereo is a belt-driven 3-speed Stereo turntable with 3 speeds to use 933/45/78 RPM) and an efficient Stereo Speaker System. The turntable has USB port with cable included so that you may convert your vinyl records to digital format, with the included Software. You may also record, edit and convert your audio content to MP3 format thanks to the software that comes along. You also get auxiliary input jack to connect your iPod, MP3 or any other Digital Audio players. The RCA line-out jacks and stereo headphone jack are also very useful. The turntable has pitch control to adjust the record speed, volume and tone. The Jensen JTA-230 3 Speed Stereo has a power indicator, an auto stop switch and a useful dust cover. The turntable is small and easily portable and it comes with all components. But, for the money you pay, you get a pretty good DJ turntable with pretty good performances and some limitations, for the obvious reasons. We kind of sit on a fence when it comes to the Numark TTUSB Turntable with USB. It has adjustable anti-skate control for more stereo balancing and USB computer connectivity for PC and Mac. The turntable has 1/8” stereo line input and RCA line outputs. The included 1/8-inch stereo mini jack connector helps you transfer the cassette tapes to computer files so the unit becomes great for archiving old recordings, no matter the original format. The Numark TTUSB turntable has an adjustable pitch control +/- 10% and it comes with all the cables you need to connect it with your computer or stereo playback system. You may use the 33-1/3 and 45 RPM speed playback (78 RPM support via software). The MixMeister software helps you easily designate each track with just a click of a button and once it’s in iTunes you can make playlists, burn CDs or transfer to your iPod or other media player. As you may see, there are some down sides to the Numark TTUSB. We take a look at the big picture though and see that, for the money you pay, you get a pretty good DJ turntable after all. The heavy-mass Pioneer Pro DJ PLX-1000 Direct Drive DJ Turntable makes it as a good option for a scratching turntable. The die-cast chassis prevent resonance and vibrations and the multi-tempo control lets you instantly pick up or slow down the track to +/- 8%, +/-16% and a simple reset button instantly reverts to +/- 0%. The high-torque direct drive gives a stable rotation and amazing control. 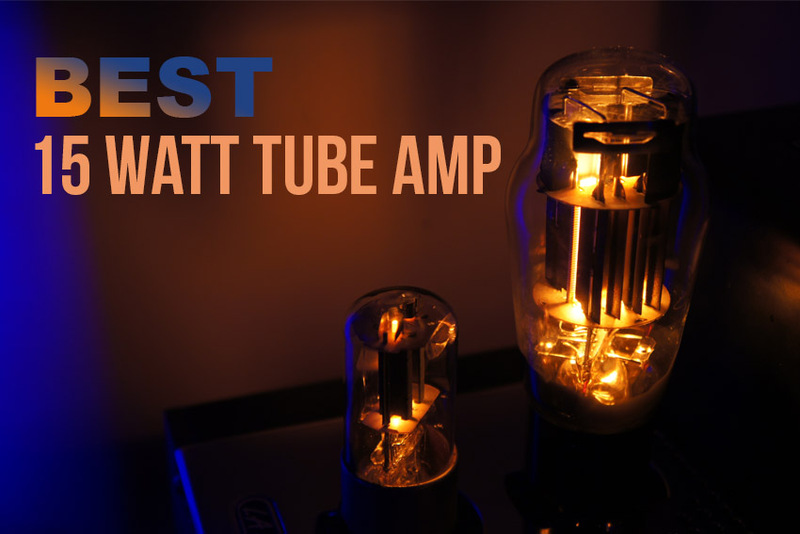 The interchangeable power and audio cables may be easily replaced and connected and the pro-grade gold-plated RCA jacks give low impedance and amazing sound. The classic layout, the S-shaped tone arm provides isolation and prevents feedback. The Pioneer Pro DJ PLX-1000 has a solid build for great vibration damping and very precise, high grade audio playback. The turntable kind of looks like the SL-1200 MK5 and almost feels like a Technics. It’s RCA cables are replaceable and there is dual voltage by default. The turntable is easy to setup and to use. All in all, the Pioneer PLX-1000 is a great new old school turntable and it is worth every single penny. A good, reliable and heavy duty turntable for scratching is the Stanton ST-150 Turntable with Cartridge (S-shaped tone arm). The turntable has an S-shaped tone arm turntable and a long lasting steel design for minimum feedback. The Stanton ST-150 Turntable has an industry-leading torque motor of 4.5 kgf/cm and a very stable platter and tone arm. 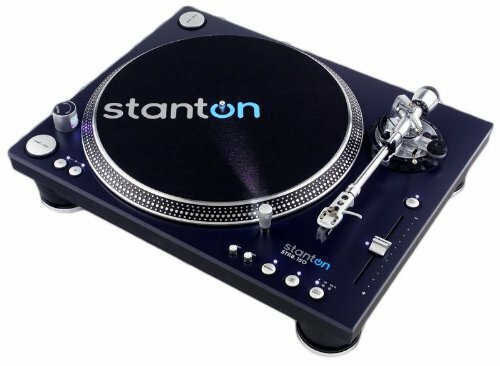 The turntable comes with a Stanton track master V.3 cartridge and has a heavy duty steel construction. There is start/brake speed adjustment on the Stanton ST-150 and a digital output (S/PDIF) plug straight into CD-R or computer sound card. There are many good and useful features on the Stanton ST-150: the dual start/stop buttons, the height adjustable tone arm, the selectable phono or line output. You also get the option of reverse play and three speed (33/45/78) to choose from. The quartz lock, the selectable pitch control and the motor off feature add as advantages for the Stanton ST-150. The removable target light, adjustable feet, along the slip mat and “L” shaped cables make the turntable a great option for the scratching lovers. All in all, the Stanton ST-150 still makes a great, fairly priced turntable. A great digital DJ turntable is the Pioneer CDJ-850-K Digital DJ Turntable. The Pioneer CDJ-850-K is compatible with MP3, AAC, WAV and AIFF digital audio formats recorded on USB storage devices or CD-R/RW discs. The Pioneer CDJ-850-K has export ability and DJs using rekordbox software may export their music files and custom managed data onto an USB device and simply plug it afterwards directly to the turntable. So, you don’t need to be linked to a PC in order to access your favorite tracks. The turntable also comes with an editable Tag List functionality so that each player may register tracks during play or preview to add to their playlist. The reverse button helps you create a clean version of your favorite tracks. 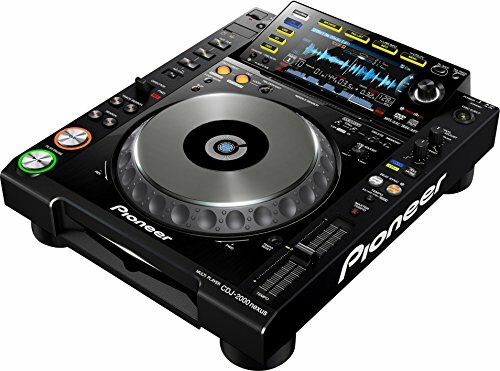 The Pioneer CDJ-850-K has a great, sturdy and reliable build and a solid construction. It looks highly professional and gives you great backup with USB sticks. All in all, for the high performances and the great connectivity and versatile compatibility, the Pioneer CDJ-850-K is an impressive, professional DJ turntable to get. With a floating motor mounted the Marantz TT-15S1 Reference Belt Drive Turntable with Cartridge has also a belt drive system with endless silicon belt. 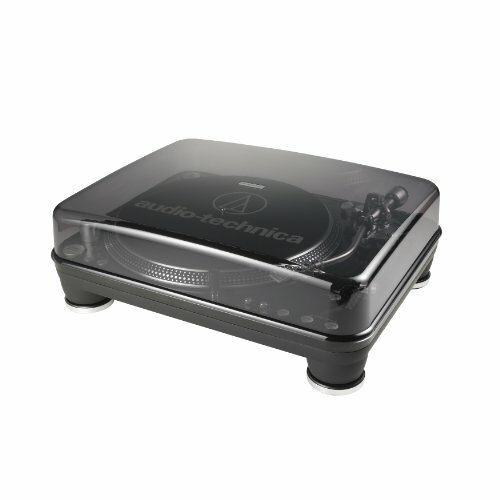 The turntable has low-resonance high-density acrylic chassis and platter. The anodized aluminum straight type tone arm gives clarity to the sound, along the magnetic Anti-Skating Mechanism. The Marantz TT-15S1 comes with a high quality MM Clear Audio cartridge and an accurate AC synchronous motor in a massive die-cast housing. The housing suppresses motor vibrations and giving the smooth torque to the thick, heavy platter through a continuous loop (joint-less) silicon belt. The cartridge has an ebony wood body that takes good the resonances along with a specially polished diamond stylus, light aluminum cantilever and very efficient cartridge damping. There are 3 tough aluminum feet to sustain the turntable and the feet are height adjustable, giving stability at all time. The unit gets to you with everything you need for the easy assemble, including a felt slip mat, a tonearm height shim, white gloves, bearing oil and a spare silicon belt. Easy to assemble and with a quiet operation, the Marantz TT 15 S1 gives a great and smooth sound. The quartz driven Reloop RP-7000 Quartz Driven DJ Turntable has an upper-torque direct drive and comes with adjustable torque. 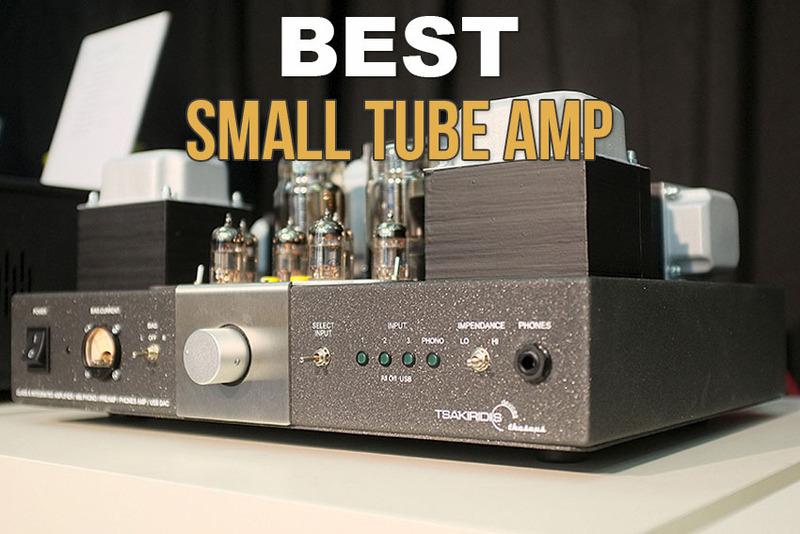 There is phono and line output (no need for grounding) and you get to choose manually the speeds you need. The turntable has a direct connection to the motor, giving maximum stability. 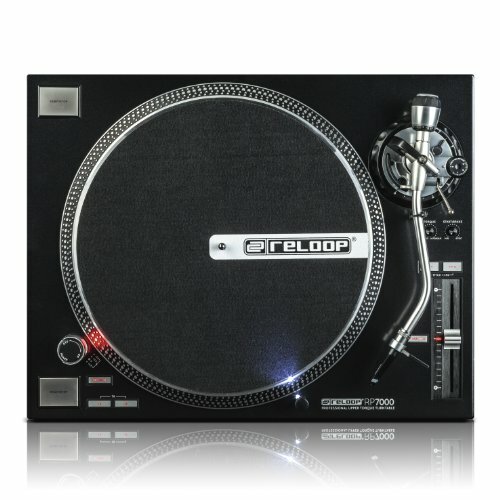 The Reloop RP-7000 looks a lot like the Technics SL-1200 series and is for the heavy duty use in a club. The Reloop RP-7000 has wide, digitally controlled pitch-range and a starting speed between 0.2 sec and 6 secs, giving more control of the direct drive motor. The reverse button, the small safety lid around the on/off switch (preventing accidental shutdown) are also features to appreciate at the Reloop RP-7000. The best feature of the Reloop RP-7000 is the tow RCA sockets (with no earth) and the lack of hard-wired cables and a switch between phono output levels and line ones. This way, the turntable may be used in conjunction with mixers that don’t have phono inputs. The classy, scratch-resistant painted metallic finish are qualities that make the Reloop RP-7000 a good solution for the vinyl and DVS users that like strong motor and long lasting construction. But, when we talk about performances, the Reloop RP-7000 sure makes a great impression to any DJ. The Crosley C200A-BK Direct Drive Turntable has a high torque motor that plays 2 speeds (33 1/3 and 45RPM). The damped die-cast aluminum platter has a felt slip mat and the ½” Universal mount head shell with Audio Technica cartridge (pre-installed) give a nice, smooth sound. The turntable has a balanced S-shaped tone arm with hydraulic lift control, anti-skate, height adjustment and lockable rest. The built-in switchable phono pre-amplifier has RCA output cable. There is good, reliable and solid build to the turntable and the design is well thought. The turntable has a solid frame, a matte black finish and a nice long lasting tonearm. The C200 has a holder for a 45RPM record hole adapter and RCA output sockets with phono/line switch, which is nice to have for the mixers without phono inputs. All in all, for the money you pay, the C200 could be your starting point in your DJ-ing or for the home use anytime. A sturdy, reliable and ready to take heavy use DJ turntable is the Audio Technica AT-LP1240-USB Direct Drive DJ Turntable. 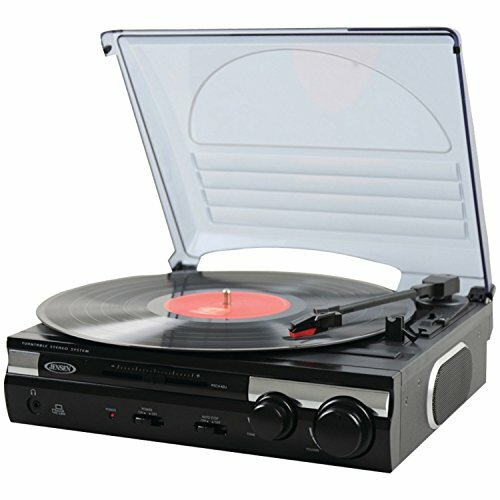 The turntable has an USB output so you may connect it directly to your computer, but there are many other good things related to it. The Audio Technica AT-LP 1240 comes with Audacity software and has a direct drive high-torque multi pole motor. The turntable is for the heavy use when DJ-ing and you get 3 speeds to choose from: 33/45/78RPM. The turntable operates in 120 V AC and is fully manual operated. The starting torque is > 4.5 kgf.cm and the turntable is very well leveled. The arm is parallel to the record surface, the needle is at the right distance from pivot and you get so many accessories along. 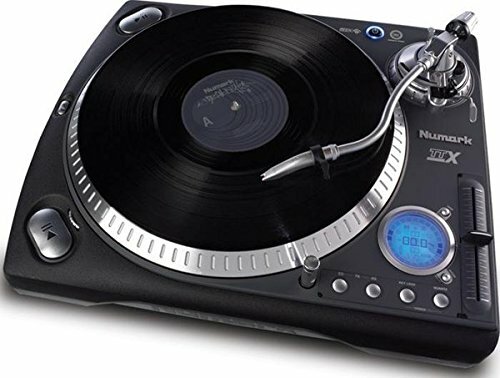 The turntable comes with: slip mat, dust cover, platter, 45 RPM adapter, counterweight, head shell, power cord, USB cable, dual RCA (female), mini-plug (male) stereo adapter cable, stylus target light, Audacity software. The cables are detachable and the turntable is compatible with many cartridges. The “braking” system lets you adjust how fast the platter spins up and stops. There are tone arm height adjustments for accurate cartridge alignment and the sound is great. Containing very little plastic, the Audio Technica AT-LP 1240 USB is a turntable built like a tank that is fully manual operated and has only few downsides. 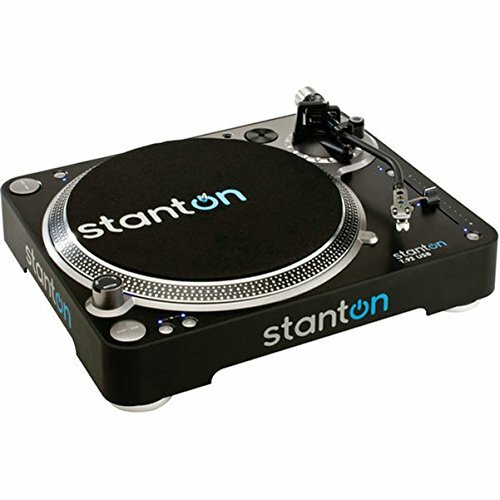 Having a very good build and giving amazing sound on your vinyl records, the Stanton T92USB USB Direct Drive DJ Turntable is a reliable option to try when you want to improve your DJ experiences. The turntable features a high-torque direct-drive motor and has a solid build, which makes it both ready to take intense use, but also quite long lasting. 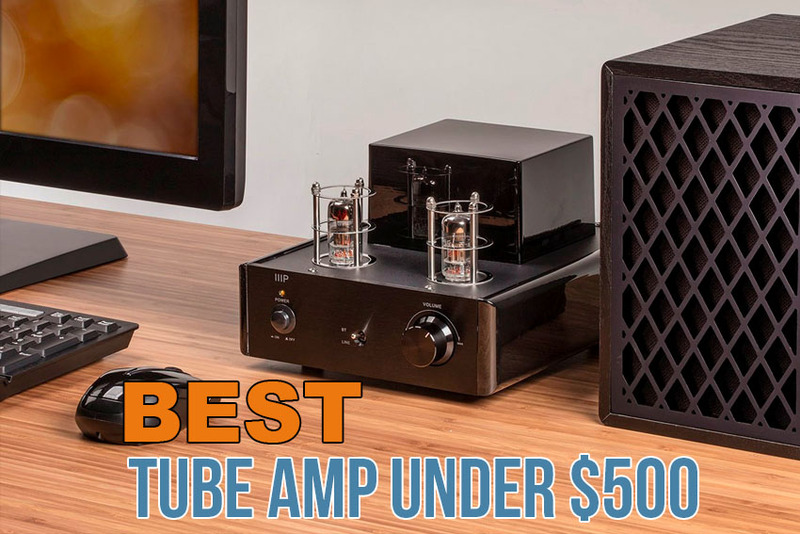 When it comes to versatility, the device also scores as it features USB and S/PDIF outputs which helps you transfer music from your vinyl records to your PC/MAC way easier. And the fact you also get a Software for transferring and editing your music files is nice bonus. As for the cartridge, the Stanton T92 uses the Stanton 300 v3 cartridge pre-mounted on head shell. The S-shaped tone arm is great for lower distortion and minimal record wear and you get to control the tempo with the built-in DSP with key lock, without affecting pitch. The device has 3 playback speeds (33, 45 and 78RPM) and RCA stereo outputs (phono/line switchable). The 2 start/stop switches may be used for mix or battle setup and the use is rather easy. If we go through the numbers, we see a frequency response ranging from 30Hz to 20kHz, a starting torque bigger than 1.6 kgf.cm and a S/N ratio line smaller than -65dB. The turntable is well made and the brushless DC motor ensures long life span. The tracking is impressive and the turntable is easy to setup. The vibration isolation is great and the layout of most controls is well thought out. But, when you take a look at the big picture, you see a reliable, long lasting and versatile DJ turntable that gives amazing sound on your favorite vinyl records.